Over the years all sports have had a player that has stunned the country with undoubted talent that many others cannot recreate but also incredible stupidity that the fans marvel at in disbelief that someone with such a gift would be so ridiculous and unmindful about their actions. The English cricketer dropped after a horrific Ashes series in Australia, the talented batsman may well have found himself back in the England set up under incoming chair of the ECB Colin Graves. Kevin Pietersen is an incredible talent, his batting is astoundingly brilliant. The great Kevin Pietersen scored over 8,000 runs in 104 tests for England and has also performed admirably in the Indian Premier League which is regarded as the best domestic cricket league in the world. Pietersen’s antics caused rifts in the dressing room with both Alistair Cook and Andrew Strauss when they captained England. Pietersen has frankly not done himself many favours but he is undoubtedly England’s most talented batsman of this generation. The Wasps wonderkid, he was the sensational talent with pace and a kicking game to put any other fly-half to shame. So how did the starlet end up in Melbourne having only played a handful of international games for England and and one point exiled from the England squad by Martin Johnson. Cipriani’s international career was doomed from the start, the fly-half was spotted coming out of a nightclub hours before he was due to play for England and gain his first cap. The the Wasps back was claiming he was just dropping tickets off to a friend but he was dropped. In 2008 there was a reported fight between Cipriani and World Cup winner Josh Lewsey, Cipriani clearly involved having a cut lip and a nose injury. The fly-halves long term relationship with Kelly Brook was hugely controversial as many questioned his commitment to the game after poor displays against South Africa and Australia. In 2011 he moved to Melbourne and some off-field misdemeanours did him no favours before he returned to England in 2012 and Lancaster has integrated the fly-half back into the squad. Both these players are undoubtedly brilliant talents and have shone in their respective sports. Their off-field behaviour has been less than exemplary and that has hinderde their test careers. Cipriano is back in the England squad and a return for Kevin Pietersen is looking more and more likely. These mavericks are what make sport special so I hope for all of us that the batsman does find his way back. There’s that old saying ‘money talks’ and in some cases that is totally accurate. In football these days we see some of the Premier League’s players earning enormous amounts of money due to rich benefactors such as Abramovich and Shiekh Mansour using their fortunes to bring the biggest names to their respective clubs. Rugby is becoming that way in France but in England clubs are protected by the salary cap meaning that each club can only be spending £4.76 million on wages but each club is also allowed a ‘marquee’ player (that is excluded from the wage budget) which has allowed Bruce Craig’s Bath to sign former South Sydney Rabbitohs star Sam Burgess. The cap is set to increase to £5.1 million next year and each club will be allowed 2 ‘marquee’ players. 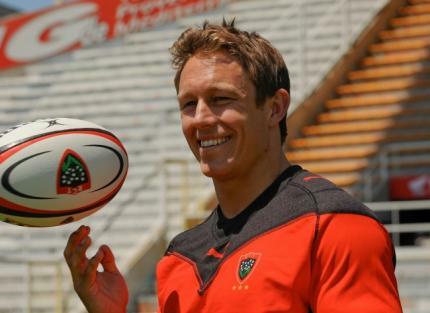 In France they have a cap but it stands at the enormous figure of €10 million and there is a loophole which Toulon owner Mourad Boudjellal exploited allowing him to pay his squad of superstars massive amounts of money most notably English fly-half Jonny Wilkinson who was one of the biggest earners in world rugby as he spent 4 seasons at the Stade Felix Mayol. France’s vastly larger salary cap has allowed them to bring in stars from all over the globe, an example is the Parisian club Stade Français who have bought Australian scrum-half Will Genia. The Australian had previously agreed terms with Premiership side Bath, the scrum-half had signed a pre-contract agreement that stated once he had completed international commitments with his native Australia for the 2015 World Cup he would join Bath. The deal was done and Bath Rugby thought they had acquired debatably the best attacking scrum-half in the world. It was not to be as in February it was confirmed the Queensland Reds star would join Stade Français on a three year deal post-World Cup. This is just one example of this happening and it is becoming a big problem. Some players can be earning in excess of €50,000 per month in France with Ireland fly-half Sexton on €52,000 per month this season, he is heading back to his home club Leinster in the summer. In Wilkinson’s final season on the French south coast he was earning €56,000 a month plus commercial deals and bonuses. This is far more than any player in England. Some countries have had to make a stand and make a policy stating that they will only pick players based in the country, New Zealand, Australia and England all adopt this policy. This however does not apply to South Africa, Wales, Ireland and Scotland, it has seen real problems in Wales with their biggest stars like Jamie Roberts, Dan Lydiate and Leigh Halfpenny move to France. The moneyball game is hurting the European club rugby scene as we enter the quarter-finals of the European Champions Cup three out of four home quarter finalists are French. This follows the all French final in 2013 when Toulon defeated Clermont Auvergne. The French teams are set to dominate Europe for the forseeable future. Money is beginning to take a stranglehold in the game and is it about time the cap was lifted in England for the good of the game? Time will only tell.